We are a well-known placement and recruitment agency in Lucknow, Uttar Pradesh. We also provide our services as a first-class HR Consultancy, and deliver complete and effective HR solutions to the clients. 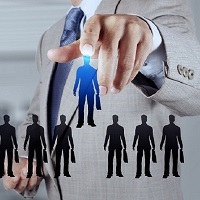 We provide comprehensive human resource management to companies. As an HR Consultancy, we help companies to identify non functioning processes, functions in their departments. Our professionals provide the guidance to the clients, so that they can enhance the companyâ��s productivity and performance. With the help of our professional HR experts, we enhance human resource performance in the company.